At PwC, we use a fact based approach to help identify the specific elements of talent management which drive the most value in your business and industry. 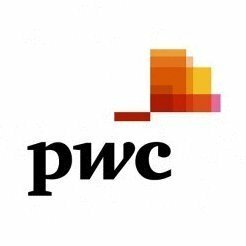 Work for PwC People and Organisation? Learning about PwC People and Organisation? What HR Analytics Consulting solution do you use? Integrates advanced analytics with expert methodologies to develop potent solutions. Versique is one of the top executive recruiting and consulting firms in the Midwest. Versique has over 100 employees in Minnesota, 19 specialized search professionals with over 10 years of recruiting experience in Minnesota. Total HR Analytics provides a full range of Human Resources consulting services for companies looking to optimize employee and organizational performance. Total HR Analytics brings together leading academic and industry experts in management, industrial/organizational psychology, human resources, and employee benefits. Our mission is to provide evidence-based solutions to help your organization manage your talent more effectively. Trianz is an IBM Premier and AAA Accredited Business Partner in Service Management. Trianz Integrated Service Management is designed to equip customers with the skills, expertise, processes, tools, and methodologies necessary for IT to be aligned to its business thereby, building and managing a truly business focused IT organization and driving IT department to profitability through innovation. Emeritis is an international HR and HR Technology services company, operating through its offices in Europe and Asia Pacific. Through a unique combination of niche expertise in HR Advisory & HR Tech, Emeritis helps HR to realize true business impact. More specifically, Emeritis supports organizations in creating their workforce of the future, through HR Transformational services, integrated Talent Management and Digitalization of HR. ScottMadden can help you build your analytics organization from the ground up, develop dashboards aligned with your HR strategy, or review your structure to make sure you are organized in a way that ensures success. Helps clients build capabilities, improve performance and realize their goals. * We monitor all PwC People and Organisation reviews to prevent fraudulent reviews and keep review quality high. We do not post reviews by company employees or direct competitors. Validated reviews require the user to submit a screenshot of the product containing their user ID, in order to verify a user is an actual user of the product. Hi there! Are you looking to implement a solution like PwC People and Organisation?